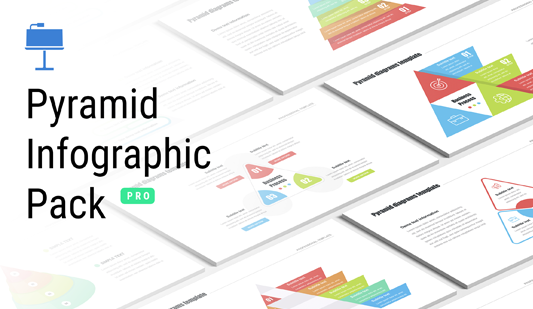 Pyramid chart Keynote Template - Free Download Now! Here, our pyramid chart Keynote template is represented. It is a set of three multicolored 3D pyramids with a different number of segments. Description blocks are provided under the elements. The slide is an example of successful infographics. These tools are popular in business and marketing where many topics are complicated for perception and overloaded with text information. In order to diversify the flow of text or complex figures, such vivid charts and schemes are created. They do not only help to display data but also attract attention and serve as speakers’ image-makers. 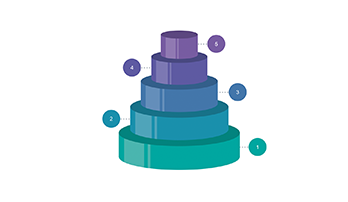 This free 3d pyramid chart will demonstrate a speaker’s skills and competence. Moreover, a visualized topic will be easier perceived. Our element combines functionality and modern design. Thus, it is an excellent option for business or marketing projects, webinars, or reports. Perfect quality. Delivering a speech is a responsible task, and every user wants to be sure that there is no single thing that is able to spoil the impression of the speech. In order to be sure that visual material will support you and will not let down, it is necessary to choose high-quality templates. On our site, there is no poor-quality element. We say for sure that our slides do not have defects. Free download. 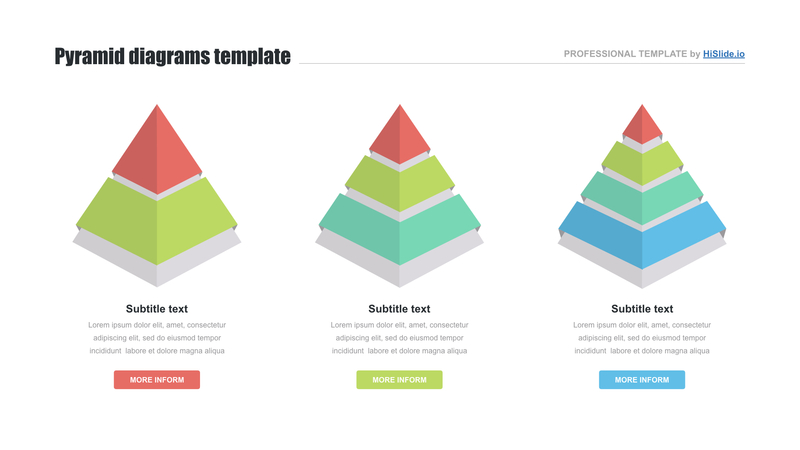 It is a free download pyramid chart template. Every user is free to do it in two clicks. Multipurpose template. The element is mainly designed for business presentations, sites, and webinars. It is a useful tool for conferences or meetings. Nevertheless, the slide can be used in other fields. Premade easy-to-use slide. 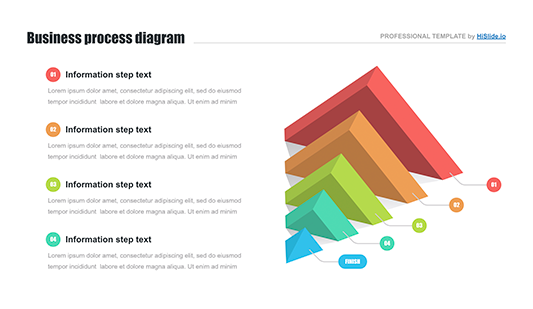 Simplify responsibilities and work efficiently with this pyramid chart Keynote template. It is a professional tool that will allow creating new projects or presentations in a few minutes.